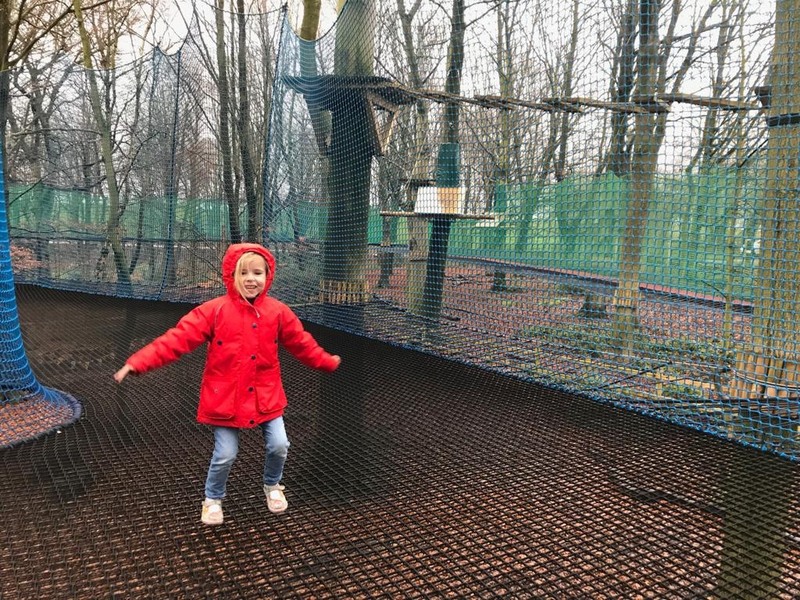 My family love adventures, trying new things and being outside so when we got invited to try out Treetop Manchester (Treetops has three different sites throughout the UK, Manchester, The Lake District and Yorkshire.) after a bit of research I knew they would love it!! I discovered that Treetops Trek that it is a aerial adventure where you can balance and zip wire through the trees. 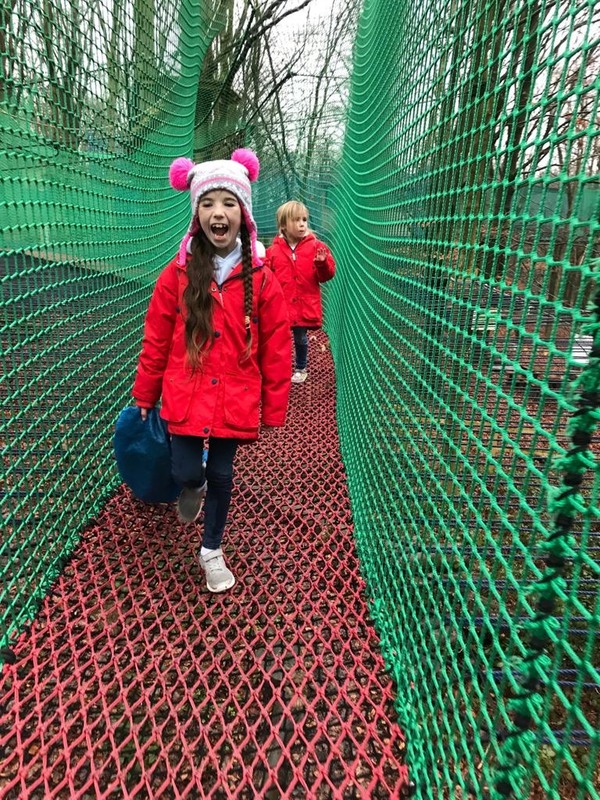 They also have a area called Treetops Nets (which is what we tried out) that consists of trampolines, tunnels, walkways and slides all made from nets and suspended 40 ft off the ground weaving throughout the trees, it is actually the only place in the UK that have this facility and I must admit it did look pretty amazing. Whilst we picked a really bad day weather wise to visit (heavy rain!) it did mean that it was empty and my bunch had pretty much the whole place themselves. 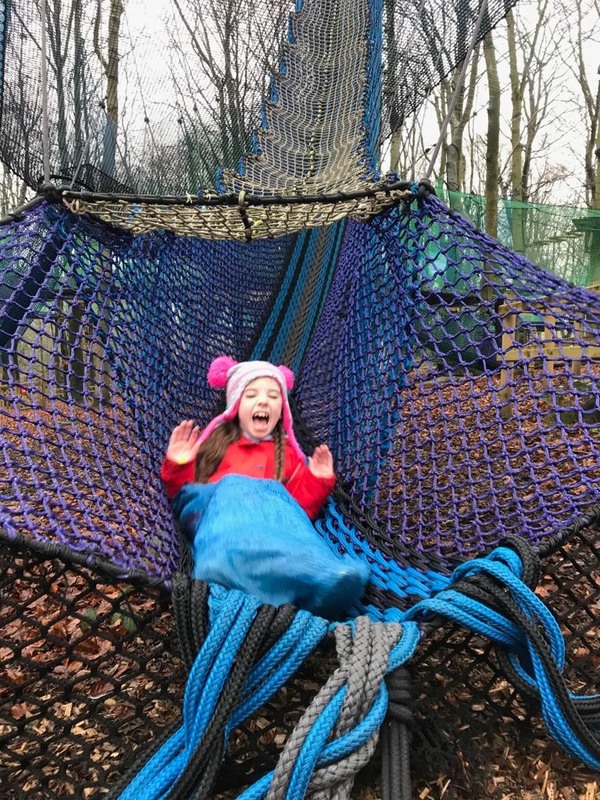 They ran round the nets, bouncing on the trampolines, coming down the fast slides in their sacks giggling and squealing with delight. 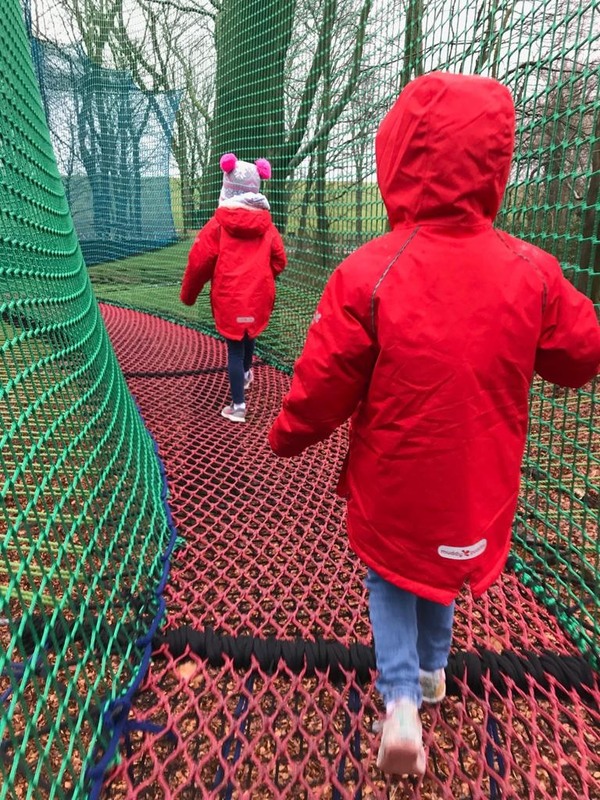 The good thing for me as a parent was that it was surrounded by 3 foot of netted wall making it completely safe so I didn’t need to worry about them falling and they didn’t even require any harness or safety equipment. 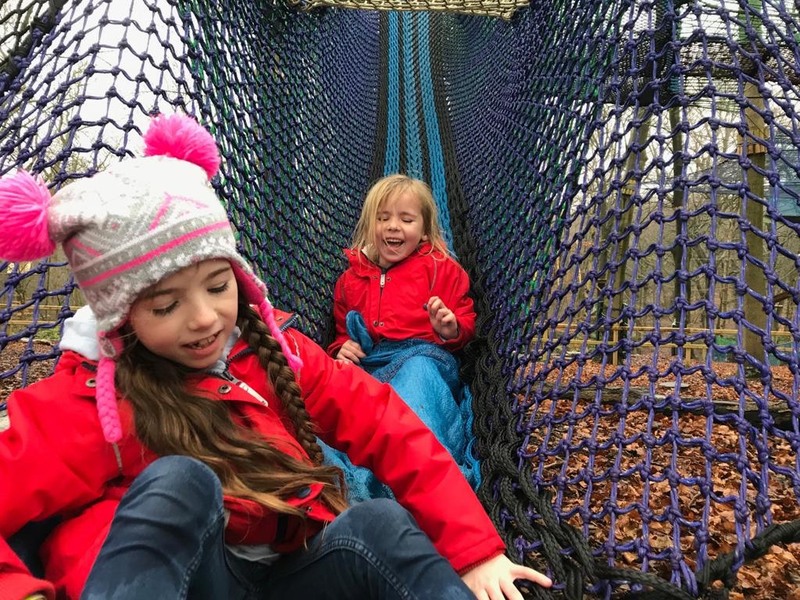 You get a hour slot to play and run around, I actually thought this would be enough however my girls would of happily stayed for longer even in the rain! The only issue for us was that my little boy is only 2 so wasn’t allowed on as the minimum age is 3, which is such a shame as he would of loved it. 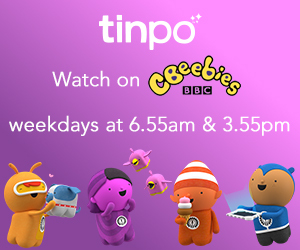 However the do offer toddler sessions during term time throughout the week so this is something that I would defintely think about doing. Luckily there was a huge play park situated right next to Treetops so Alfie was happy to play there. 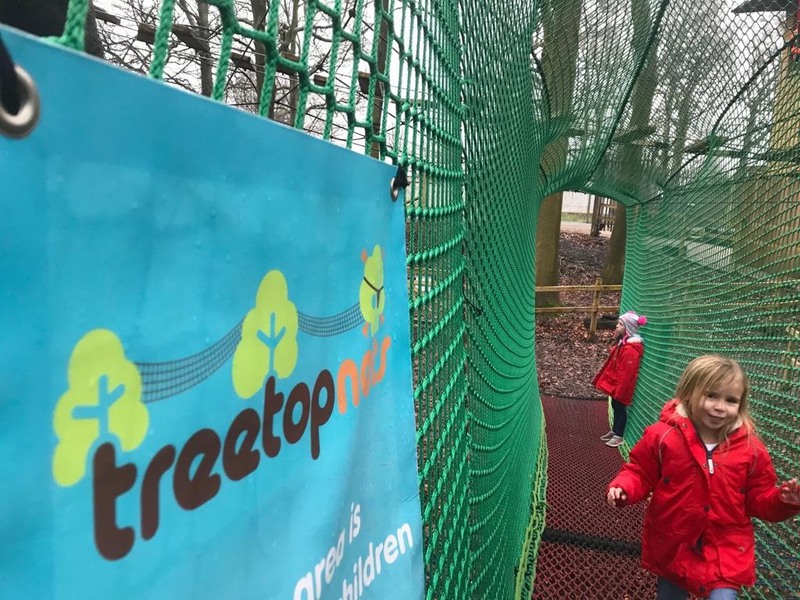 We had a lovely day, Treetops is situated in Heaton Park so you can actually spend the day there – doing the nets and the zipwires, followed by a play in the park rounded up by some tea and cake in the nearby garden centre. Even the weather couldn’t dampen our spirits. (please note you do have to pay for parking, it is very reasonable and you can pay by card). 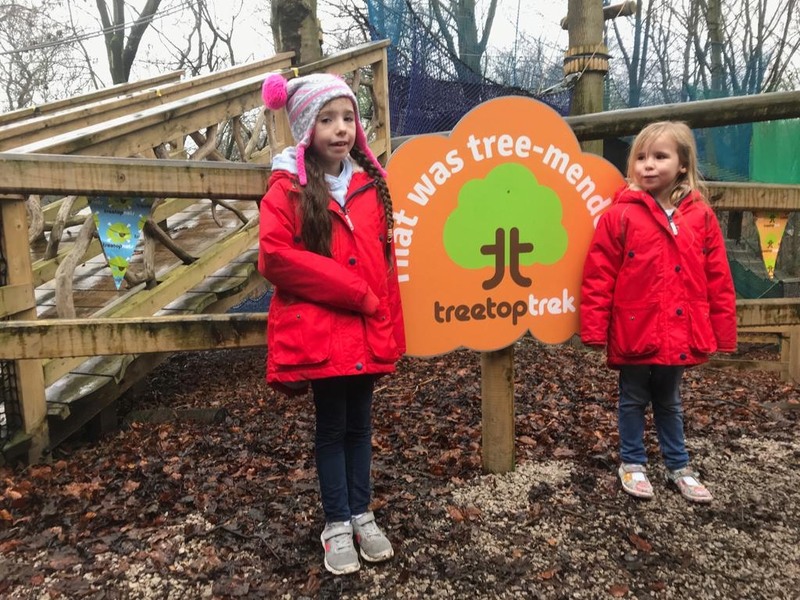 We were invited to Treetops Manchester free of charge in exchange for a honest review. This looks brilliant, my two would love it too. Great idea going on a day when everyone else is inside, those are my favourite sorts of days when the children have all the play equipment to themselves and the freedom to run around as they want to. This looks like such a lovely experience and what a great way of getting kids into nature and seeing things from a different perspective. Oh wow, this looks brilliant. Heaton Park is just around the corner from my in-laws. We will have to visit this next time we come to visit the family! The tree top nets look like great fun. It is certainly something myself and my kids would love to do.